My head is spinning. Over 31,000 people on Facebook and 20,000 here on my blog viewed A Letter To the Mom Who Rolled Her Eyes At My Son. The comments and emails… well they touched my soul to say the least. I believe many of us USED to be that mother! Of course, not everyone agreed with the way I handled the situation… perhaps I should have spoken up, drawn more attention to her. But as I said in the letter… I pick and choose my battles.I did what I thought was best at the time and for us. That was one I just did not have the energy to deal with. I needed to focus on my boy and his therapy. And for those of you who think I am some type of angel well guess what…I am not perfect. Sometimes the Mama Bear in me escapes and instead of dealing with things with grace and dignity, I lash out. And yes I do believe in educating people and confronting them. I am not very proud of the way I have acted in the past and am making a conscious effort to take the high road. I am choosing to be happy and not bitter. It is not easy, but at the end of the day I definitely like who I see in the mirror better when I act this way. I am so glad I wrote that letter. Because of it, I have had the opportunity to meet so many wonderful people (like you). I dream of a world filled with love, compassion, empathy and at the very least tolerance. Perhaps that is why it hurts so much when I see the other side. What I have realized from all of your comments and emails is just how much farther we need to go. How much harder we must fight to bring not just awareness but ACCEPTANCE! We owe it to our kids… to ourselves. I am not sure if the letter I wrote is the answer… but it certainly got some conversations going, and well that is a start. So I ask you to do me a favor… please keep it going. Forward it on not just to the parents of other special need children… but to all. The only way to make the “eye rolling” stop is to educate people. We need to remind everyone that our children are watching everything we do. If we want to raise a generation of compassionate kids… we too must be compassionate to one another! To all of you have written to me and/or shared my letter… Thank you! Seriously from the bottom of my heart… THANK YOU! Because of you we are one step closer to the world I dream of! Autism and Aspergers are very different prior to age 3.. Those with Autism (Kanner-type) have a prbolem with the actual production of sounds, or some kind of a delay in their abilities to speak. Those with Asperger’s do not have any type of delay with their speech, nor do they ever have the inability to produce sounds. 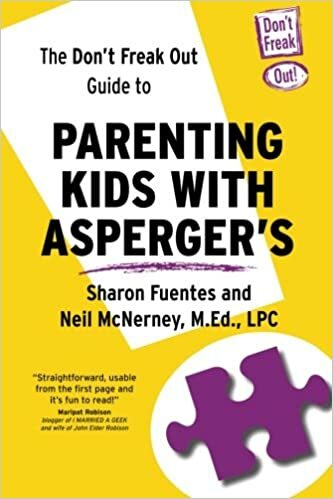 This is why the diagnosis for Asperger’s may come later than age 3.The term high functioning usually refers to those who are able to convey their intelligence, and able to maintain a self-sufficient life independent from other’s (parents, care-takers, etc.). Many more Asperger-types would fall into this category than would Kanner-types. This is probably why some consider Asperger’s as a type of HFA even though it is not. If you put two high-functioning adults next to each other (one Kanner-type, one Asperger-type) I really don’t know what the difference is.